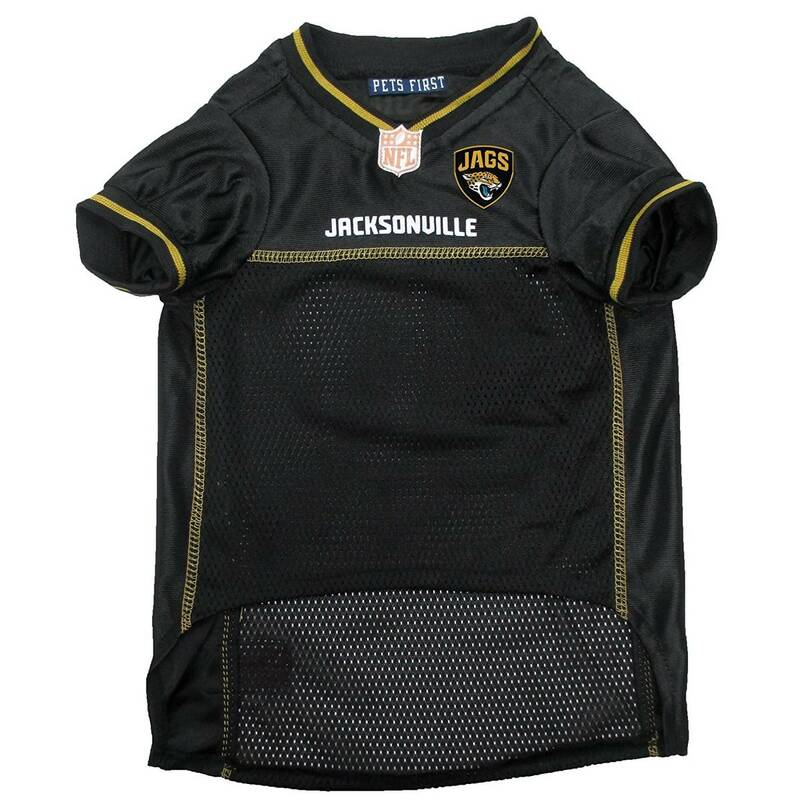 Get your pet ready for the game with this officially licensed pet jersey for the Jacksonville Jaguars! 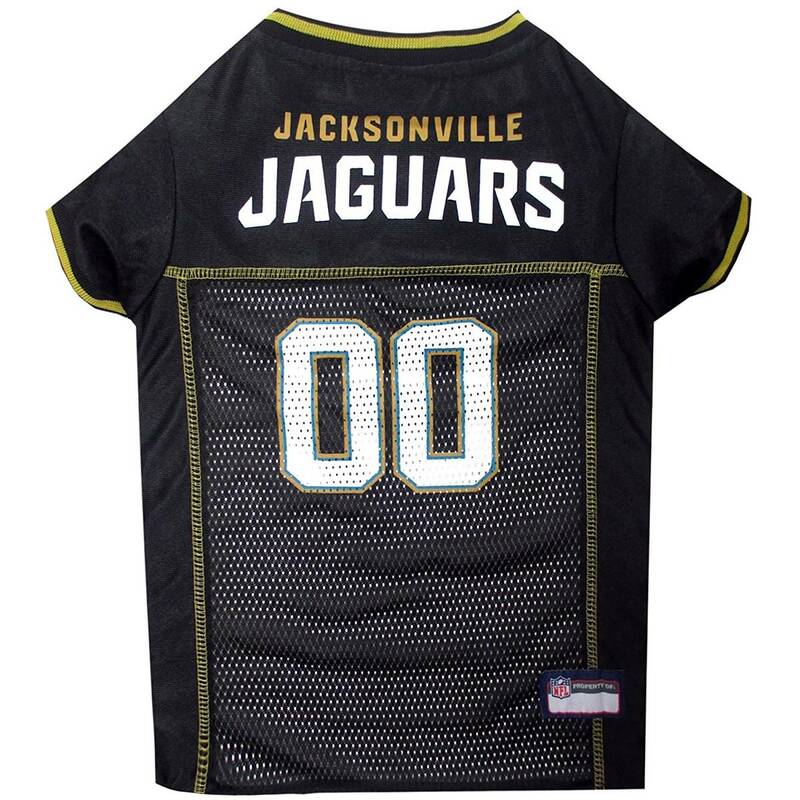 Get your pet ready for the game with this officially licensed pet jersey for the Jacksonville Jaguars! Features screen printed graphics, over lock stitching detail, and woven trim on neck and sleeves.